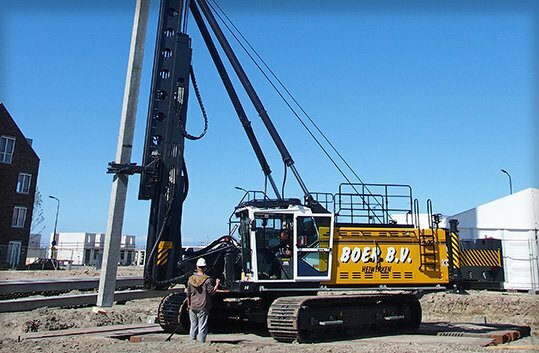 Hammer & Steel offers daily, weekly, and monthly rentals of many of the industries most respected lines of deep foundation drilling rig equipment. The different brands of rugged and dependable drill rigs we offer are ideal for applications including pile foundation drilling, dwell drilling, ground release drilling, and much more. 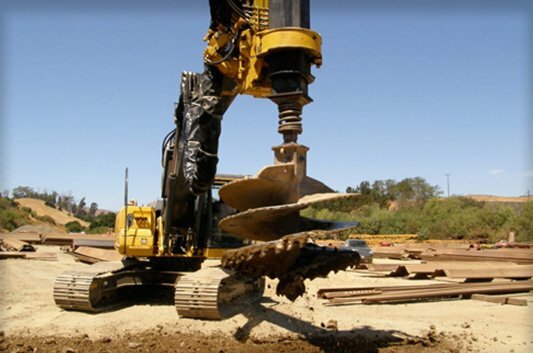 This multi-purpose rig can be outfitted with a CFA Drill Head ideal for applications like ground release drilling, dwell drilling, or pile foundation drilling or a Dual Auger Casing Drive for drilling operations that are directly against adjacent structures or soil mix applications. 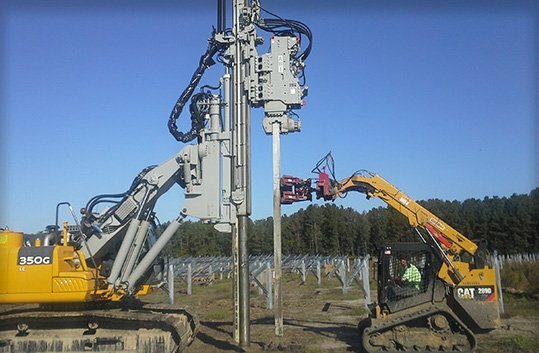 GeoDrill is an excavator mounted drilling mast, especially designed for working under limited headroom conditions. 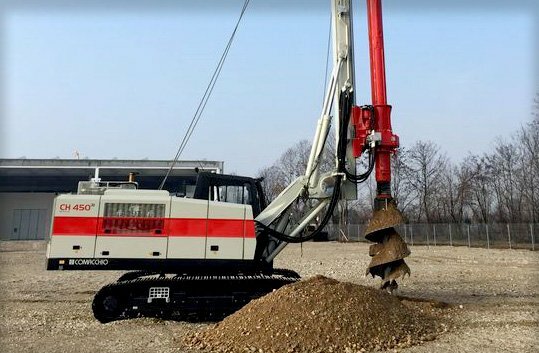 The rugged and dependable Comacchio CH 450 drilling rig is self-erecting and can be transported as one piece with the kelly mounted. This machine is an ideal solution for projects that require fast operating time. 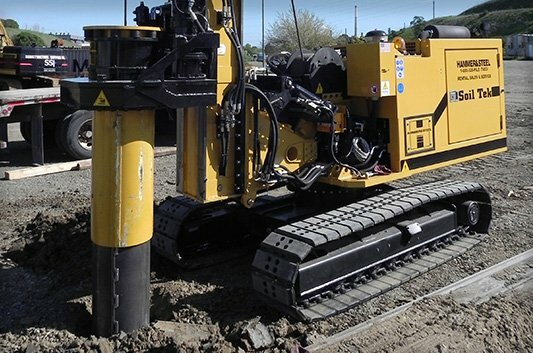 The Delmag line of high production hydraulic drill rigs feature heavy-duty cat carriers with impressive torque and crowd capabilities designed for hard drilling conditions and large diameter applications. Junttan has over 15 years of experience in designing and manufacturing pile drilling rigs. 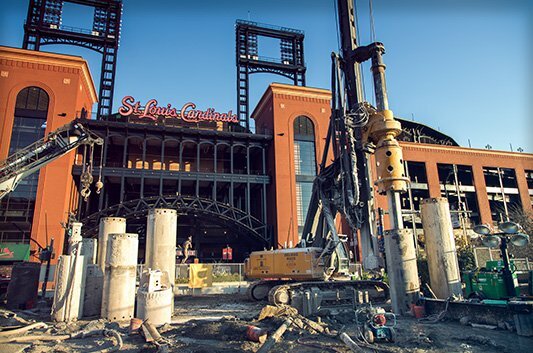 These drill rigs can be used to install almost all types of drilled piles including large diameter bored piles, CFA piles and drilled displacement cast-in-situ piles (Fundex-type, Omega, screw piles etc). SoilTek drilling rigs offer solutions to all requirements in the drilling and small diameter piling fields, including restricted access work.